You might not always think about the technical aspects or even the often forgotten about checklist items, which we’ll share for you here. While you’re getting ready to buy a new home, be sure you avoid these pitfalls that could put a huge damper in your plans. 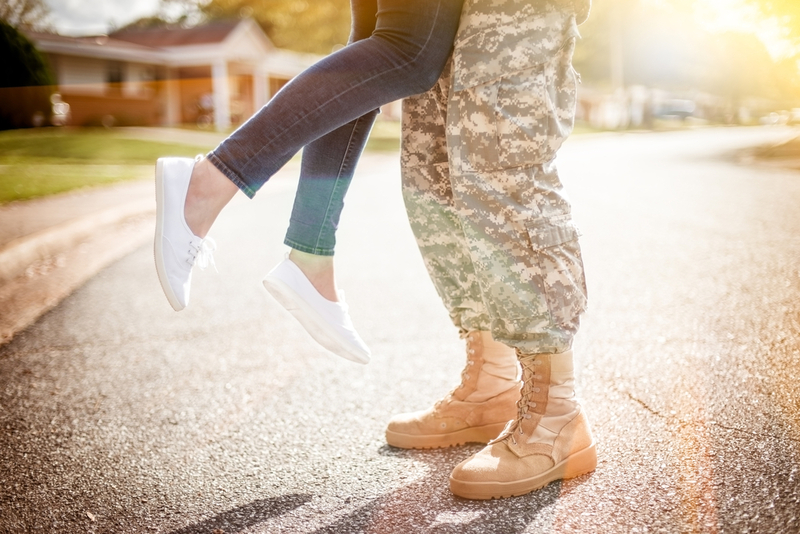 Not getting preapproved for a home loan - This should be one of the first steps you take in the home buying process, but some people choose to go straight into looking at homes. If you do that, you won’t know exactly how much house you can afford, simply by calculating your income. Not only does income count, but your credit score plays an important role in the rate you receive. Establish your baseline with getting preapproved and look at homes that are truly within your reach to avoid time wasted and disappointment. 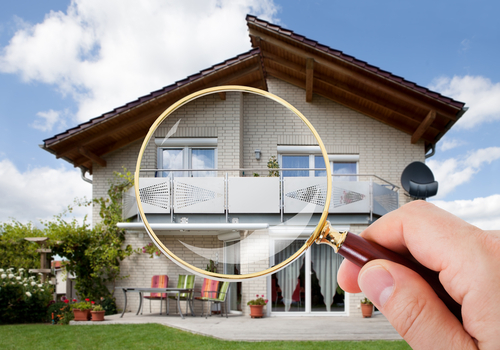 Neglecting a home inspection - When looking at homes, ask if a home inspection has been done already. Sellers are encouraged to have home inspections done to motivate buyers ahead of time, especially for older homes. 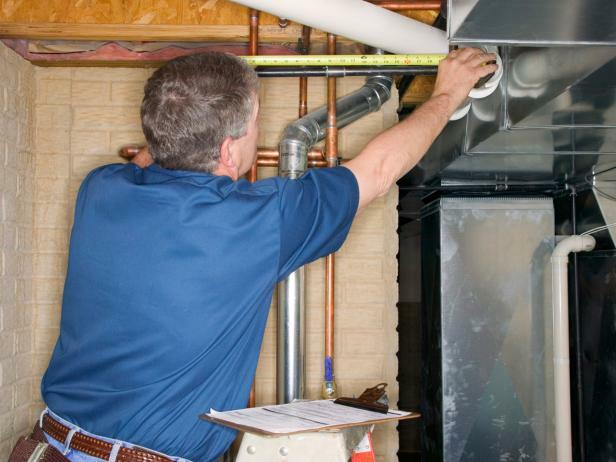 In addition, it’s common that a home inspection is included in the purchase process of a home. If it isn’t on the contract, inquire about it and be sure to utilize the findings in the negotiation process. Keep in mind that inspections done by seller are only reported to them, including severe issues, so being vocal about your concerns is helpful to avoid issues down the road. Not negotiating with the sellers - For both buyers and sellers, it’s important to negotiate the cost to come together in agreement. It can be an intimidating process, but could potentially help particularly if the home inspection yields some issues that could eat into your budget. With the right team behind you, you’ll be able to gauge the possibility of negotiation and should always consider it. Not asking for help - Home buying is a daunting task and don’t be afraid to lean on your real estate team to give you the answers. 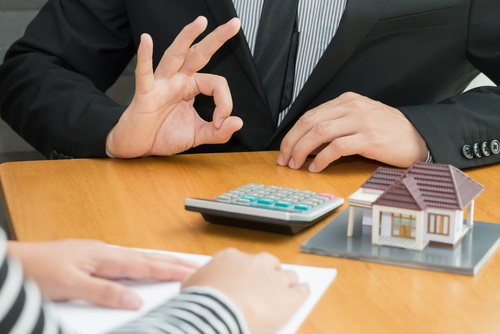 Unless you are a real estate professional yourself, there can be a lot of hidden costs and questions that come up - and being ahead of the curb will ensure a smooth transition. For example, our Better Properties DuPont team are here for more than acting as a facilitator of home sales and buying, we want to make the process fulfilling. Forgetting about hidden costs - These costs could come up and add more $$ to your budget without you realizing: appraisal fees, escrow fees, homeowner's insurance fees, and property taxes. The property you're eyeing might also have a homeowner’s Association, where you would have to tack on an additional fee to your monthly mortgage. Lastly, you might have to pitch in for the moving cost, which depends on how far you are moving. When working with your budget and potential homes, consider all these things so you don’t hit a bump that could hurt the home buying process. Not being flexible - A wish-list is critical when home buying because how else will you know what to look for in a house? However, when you are looking at an existing pool of listings, you might have to compromise some aspects. Be sure you keep an open mind when looking at homes because you don’t want to pass up a home that could be a perfect fit for your family. If you’re married to specifics so much, it could be months and even years to find the home that would check off all the points on your list. Let your real estate professional help you look past the specifics. Not planning long-term - Jumping into home buying premature should cause for lots of pitfalls. Map out your budget way in advance considering your preapproved home loan, all the hidden costs, just to be safe, as well as move-in costs like potential quick fixes as you get settled. Save up now, so you can ensure for a stress-free home-buying process. Having some buffer room with funds will help with peace of mind and avoid slow-downs along the way. If you have any questions or would like to get your home buying process started, give us a call at 253-292-1132 or email us by clicking here. No matter where your credit score lands, it’s important to keep the number high to ensure the best rate for your family. It’s also never too early to execute good credit practices. Even if you aren’t quite ready yet to buy, start with improving your credit score to get your family where they need to be when the time is right because it could take months to a year for improvement if your score isn’t ideal. Pay off or down your balances to 30 percent balance to limit or lower. Having a credit card is an important step to building a credit score, but if you don’t use it, it won’t benefit you at all. Be sure you’re using your card and keeping track of your spending so you know where you are at when it’s time to pay it off. Pay off your balance when it’s possible or get it down to 30 percent or lower to avoid any penalties in your score. You want to show that you are responsible for maintaining your balances and can pay off your debts in a timely manner. This is a big component of building your credit score. Punctuality is an important quality for a lot of things in life. It also helps with improving your credit score. Use a calendar to write down deadlines and pay off or down your balances on time. If you are unable to get your balances as low as you’d like, pay the minimum to avoid any drastic decreases in your score. Paying on time shows companies you’re responsible and ready to take on the funds that put you in credit. Never skip a payment. A big misconception is that it’s bad to have lots of credit cards at once, so you should work on closing accounts. However, closing accounts is actually NOT the best thing you can do to boost your credit score. Credit history is very important for building your credit score and if you close an account that you’ve built a long history with, it will directly affect your overall credit score like you are starting over. Even if you aren’t using all your credit cards, keep them on the back burner because together they are actually helping your overall score. If you have three credit cards and you’re using all three of them for small transactions, it might bump your credit score for the worse. Use your cards consistently to keep get your score up or maintain a good score. Another way to be consistent with your credit is not to be drastic with credit charges one month and then minuscule the next. Keep your spending at the same rate and that will help with getting your score at the level you want it. Improving your credit score can take months or maybe years as mentioned before to get at the level that is best for acquiring the ideal home loan for you. You can’t necessarily speed up the process. To help with the process, especially if you notice your score is below 650 because that is considered the borderline of poor credit, reach out to a credit counseling group. They will work with you and creditors to improve your score and assist with getting yourself on the right track. Companies like Money Management International have programs that are aimed to keep you on top of your credit and set you up for success. They also have home buying classes that could help with the financial aspect as you are prepping to get a home loan. Remember, all you can do is be patient and make sure you are taking all the tips mentioned above to heart. If you execute them all, you’re bound to see your credit score increase over time. Sometimes as quick as 3-6 months or it could take a bit longer. Keep monitoring your score regularly to ensure you are going in the right direction. It might be hard to think of warmer weather as the temperature keeps dropping, but don’t let that distract you on tips and tricks to get your home ready for a spring sale now. We’ve put together five important components that are easy to do, especially if started early, and that won’t break the bank. Plus, once completed, these suggestions will help boost your home’s selling price and attract buyers! As much as we say “don’t judge a book by its cover,” first impressions still stick. If your home has an unruly front yard, it could scare potential buyers from walking in the front door, even if it’s jaw-droppingly gorgeous inside. Utilize these winter months to outline your landscaping efforts like weeding and grooming your lawn. With the right care and planning, it can be done on a dime. 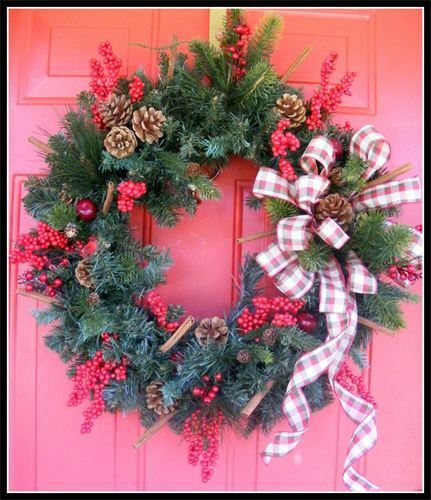 Cheap touch-ups like freshening up the paint on your front door or mailbox would call --attention to your home. Some other great options are adding flower boxes or planting a new tree to add more life on your property. With your home now open and clean, updating what’s worn and old would also motivate buyers. 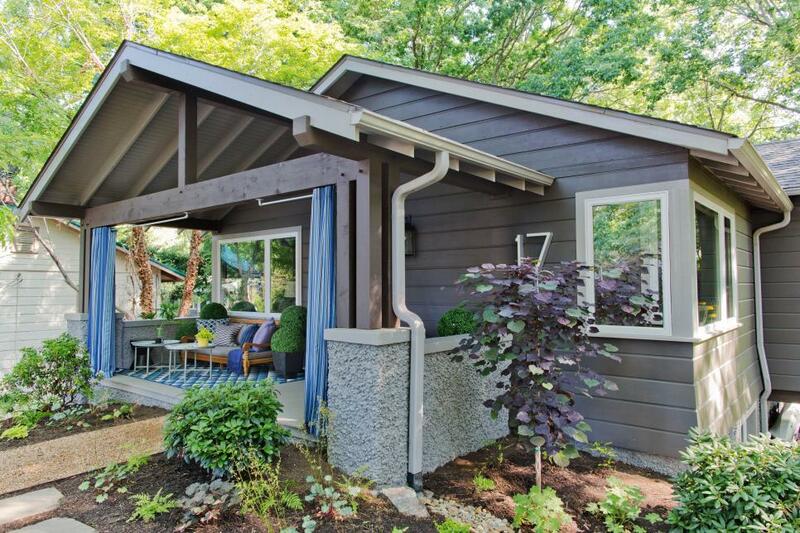 Similarly to improving your curb appeal, interior fixes don’t have to break the bank either. In fact, all the improvements you make can overall contribute to the value of your property. This Old House suggests adding shade and privacy with affordable shutters for charm and functionality, especially with warmer months ahead. 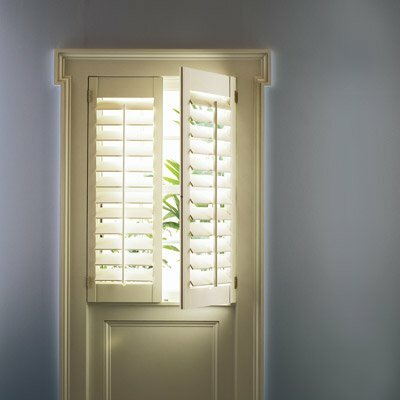 More detailed wallet-friendly and long-term investment ideas are in their article here: https://www.thisoldhouse.com/ideas/21-quick-and-easy-budget-upgrades. Families from coast-to-coast think about spring cleaning at the end of winter, so piggyback with that mindset as you’re preparing your home for sale. Purging unneeded or unwanted items open up space and takes away added goods for your own move to your future home. It’s a win-win situation! In addition, a clutter-free house does encourage potential buyers to view the home you’re selling as their own. When given a clean place to look at, it helps them paint a better picture of themselves in it. Realtor Magazine highlights different steps to make your home shine to potential buyers here: http://realtormag.realtor.org/home-and-design/feature/article/2013/10/clean-declutter-discard-make-house-shine-for-resale. Nothing scares a potential home buyer like an old house! Even with cosmetic updates that add value to your home for the aesthetics, it’s big turn is knowing a home hasn’t been looked at by a professional in ages. During the spring and summer months, homebuyers can think more about the effects of heat on your home because it’s top of mind. 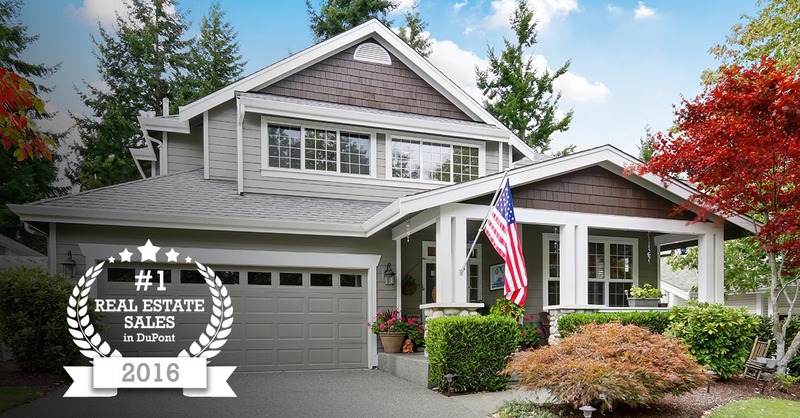 With a stamp of approval from a home inspector, it gives you an edge over other comparable houses and helps motivate buyers to look at your home at the top of their list. HGTV explains the importance of inspection in their piece here, in case you aren’t sold yourself, read this: http://www.hgtv.com/design/real-estate/get-an-inspection-before-selling-your-home. According to The Mortgage Reports, staging your home improves your chances to sell more than 70 percent. That’s an incredible amount! Our team can help you with bringing out the best in your home and offer tips to stage your home the right way. HOUZZ has some great advice too, one that suggests creating functional spaces with otherwise confusing spaces. For example, putting a desk and storage solution in an under-stair nook. 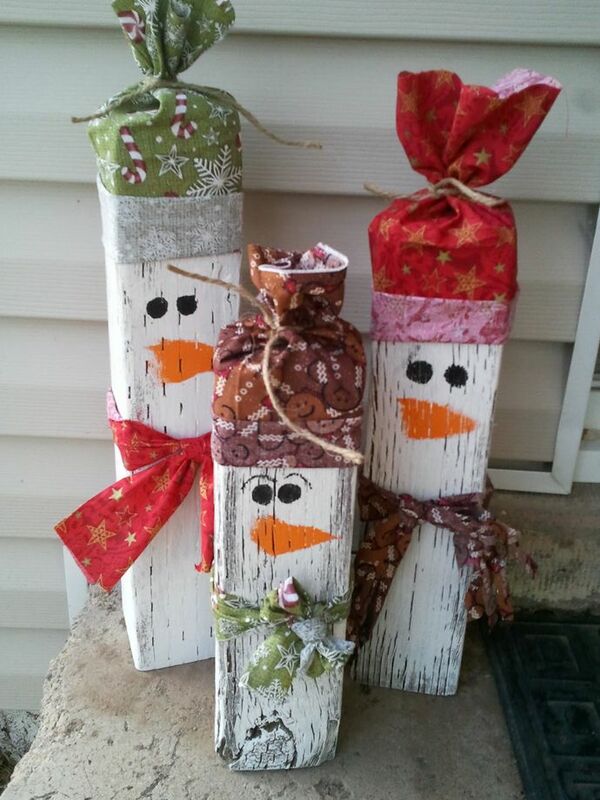 It’s such a clever idea that allows potential homebuyers to be creative and appreciate your home. Find more great ways to stage your home here: http://www.houzz.com/ideabooks/2661221/list/sell-your-home-fast-21-staging-tips. For a list of 2016 cost vs. value of remodeling in the Seattle / Pacific Northwest Region to determine which projects will get you the biggest bang for your buck, click here. If you’re not aware of the real estate market, you would think summer is the best time to sell. The days are longer and warmer. That’s when children are off school and families are most likely to buy, right? Less competition. Because buyers are only looking at a smaller than usual pool of available houses, your home has the likelihood to stick out. To add more appeal to your home, consider our tips and tricks to prepare your home for a spring sale. Rates are still low. Buyers are realizing that rates are also low, so the odds of selling are higher. Utilize the current climate for buyers to benefit your efforts to sell your home. Prices are in your favor. Conversely, you can generously price your home. Refer again to our article about preparing your home because you can also add value for doing small upgrades and edits to entice buyers to at least view your home. With that said, the future rates and prices are up in the air, so don’t let the previous years of low rates and favorable prices fool you! This year is very similar to 2016, but as the economy is shifting, years following might not be as beneficial. If selling and buying a new home has been on your mind for awhile, now is the time to jump. We’ll be happy to go through your thoughts, so you can make the best-informed decision. Undoubtedly spring is a time of year brings more warmth. People are attracted to images that are warm and inviting and the weather can highlight the beauty of homes otherwise hidden by snow. Trees are being revitalized and lawns are greening again. As people pack away winter coats, people are more likely to explore and consider new things, i.e. buying a new home! Your family is growing. Was it tight fitting everyone around the holiday tree last month? This is a general point on why it’s time to sell, but still important nonetheless. Even if your family isn’t growing by numbers, your children might be growing in height and stuff. Think about how your family is utilizing space now. The opposite, are you facing an empty nest or will it be coming soon? With the 2016-2017 ending in a handful of months, are you beloved kids packing up and embarking on a new adventure of their own. If you’re already at the point where you are going to them for the holidays, our current house might be a little too much for you now. A new generation is itching to buy. In addition to the first five points that speak to this year specifically, it’s hard not to leave out the generation that has already been penetrating the housing market. Millennials have been saving up and are ready to buy - and buy now. Even if you’re not necessarily ready, now is still the time to dip your toes. Meaning, it’s early enough in the year to start going through the pros and cons of selling. Start doing your due diligence with your family to make sure you are all on the same page and ready for the process. The Better Properties DuPont team had a very busy and successful 2016! 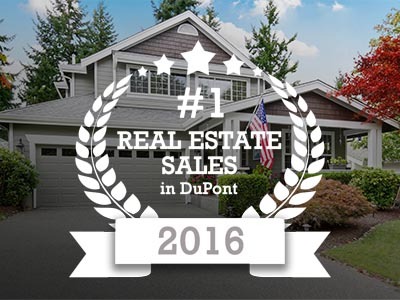 We are so proud to announce that we ranked #1 in Real Estate Sales in DuPont, WA. The Better Properties DuPont team wants to thank our clients for the privilege of serving their real estate needs, resulting in our team closing the most sales transactions completed in DuPont during 2016! Please let us know if we can serve you in the future. We welcome 2017 and will continue to provide our clients with the highly professional and caring service they deserve. If you or someone you know can benefit from our expertise, we welcome the opportunity to earn your business. Watch your step: The most common accident during the holidays is falling. 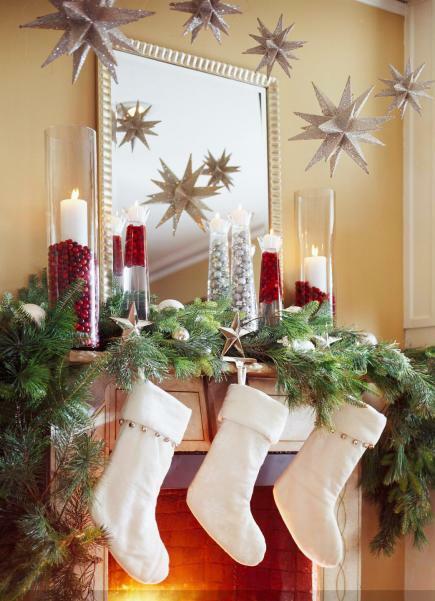 To keep hazards at a minimum, pick up as you decorate. 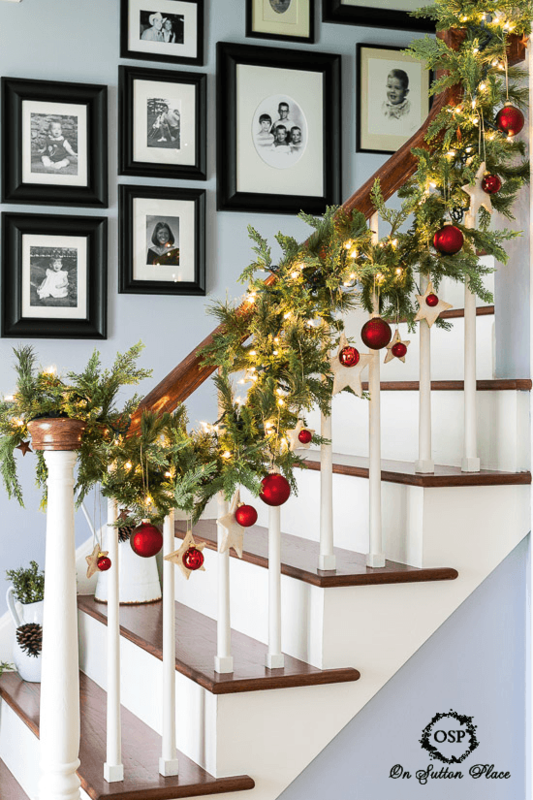 Make sure wires from lights are tucked away; keep stairs clear and well lit. Put away things you don’t need so you aren’t tripping over them. 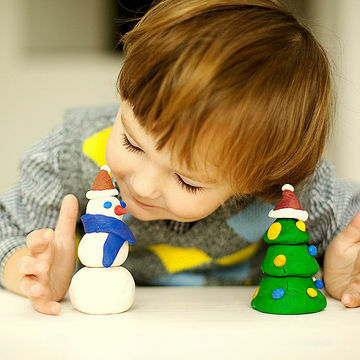 Prevent choking hazards: If there are children in the home, make sure there aren’t any potential choking hazards from fallen ornaments, hooks, lights, or broken toys. 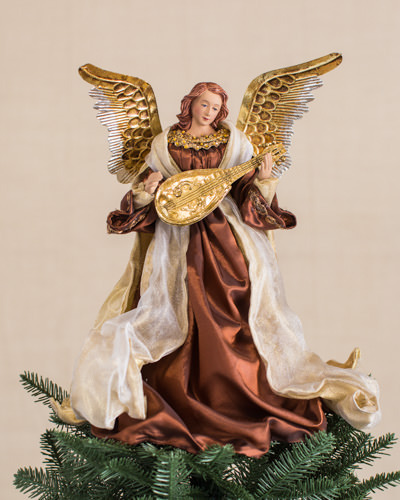 Put holiday décor out of reach: While many novelties look like toys, they are not and have not necessarily met any safety standards for children. Put breakable items and those with small parts out of reach of children. Maintain safety with lights: Before you string up lights, inspect them for damage. If cords are frayed, cracked or old buy new ones. If a bulb needs to be replaced, unplug the lights before removing it. Always turn lights off when you go to bed or leave your home. Keep children away from lights: It can be tempting to photograph your children with lights, but there are hidden dangers. Many lights have a warning, California’s Prop 65, that they may be carcinogenic and potentially cause birth defects from the lead in the plastic coating. Playing with electricity is never a good idea. If the wires are damaged, a child may get hurt. Don’t take the chance. Hang outside lights carefully: Make sure when connecting cords that they stay off the ground and away from metal gutters. Use plastic clips and insulated tape to hang lights instead of nails and tacks. Check packaging to see how many light strings you can connect, generally only three, and only use lights approved for outdoor use. Do not connect more than one extension cord to another. Check your lights periodically to make sure they are not warm to the touch as well. 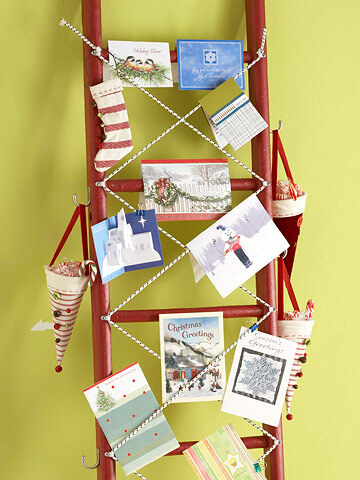 If you will need a ladder to hang lights, choose one that is made of wood or plastic, as opposed to metal. Use a timer: You can purchase indoor and outdoor certified light timers. This will keep you from touching cords and can save you money. By turning lights on after 7pm, you’ll miss the peak electricity use. Check smoke alarms, fireplace and furnace: Change and test smoke alarm and carbon monoxide alarm batteries. Have your wood burning or gas fireplace inspected by a professional. Having your furnace inspected once a year is a good idea as well to prevent carbon monoxide problems. Prevent fires: Do not leave candles unattended. Keep all paper and flammable items away from open flames. 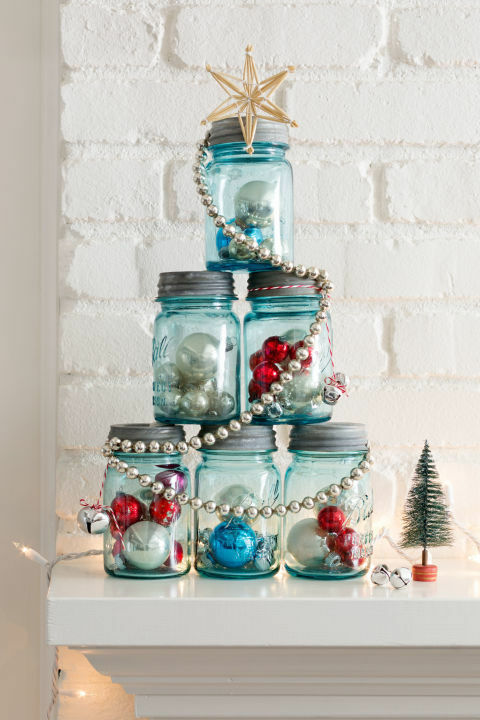 Use lights instead of the traditional candles to decorate your tree. Purchase a freshly cut tree. A dried out tree is more likely to catch on fire. 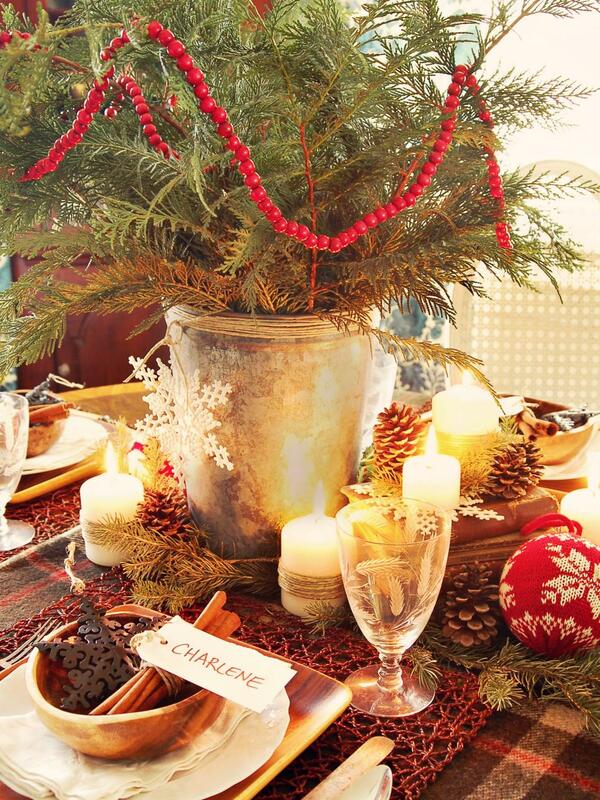 Keep a fresh tree watered and away from flames. Take your time: Don’t rush getting everything ready. Take your time to prevent accidents and make a list if it will help. 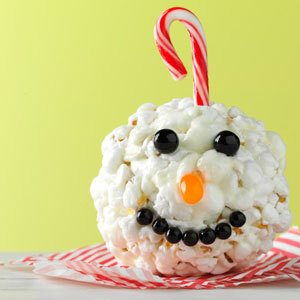 Give yourself enough time to wrap presents, decorate and cook dinner to avoid cuts, burns and broken items. Place scissors and screwdrivers in a safe place near you to open gifts without cutting or hurting yourself trying to do it with your hands. Considering safety in your home is always a good idea. By following these tips, you are likely to have a safe holiday to enjoy in your home with family. Remember, it is always better to play it safe. If you are questioning yourself if something is ok or not, it probably isn’t. Keep your family safe and the holidays enjoyable.